NorthEast United have announced their third signing in just a matter of days, as Indian international Gurwinder Singh joins the club. The defender completes the move from Kolkata-based side East Bengal FC. Born in Punjab, Singh began his professional career as a defender for JCT. Between 2005 and 2010, the defender played over sixty-five matches for JCT, before eventually being transferred to East Bengal. Contractually speaking, Singh was on the books of East Bengal for eight years. However, three of them were spent on loan at Kerala Blasters FC. Singh has a real knack for scoring goals as well, as the defender managed to score a staggering forty-one goals in one hundred and fifty-nine matches for East Bengal. The Punjab-born footballer has also been capped by India on multiple occasions. 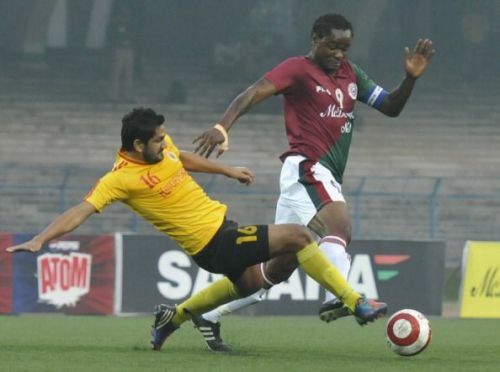 NorthEast United announced on Twitter that they have completed the signing of Gurwinder Singh. Following their own tradition so far, the NorthEast social media team posted a short puzzle, before revealing the signing to be Gurwinder Singh. The experienced defender has played in the ISL plenty of times before and will no doubt bring that same experience to the sinking ship, that is NorthEast United. NorthEast United suffered a torrid campaign last time around. The Highlanders finished the 2018/19 Indian Super League season bottom of the table. A lack of quality across all departments meant that NorthEast United could only muster up three wins while losing a whopping thirteen out of their eighteen matches. The Highlanders will hope that Singh's signing is able to solidify their defense, which conceded twenty-seven goals in eighteen matches last time around. The Highlanders have been the perennial underperformers of the league, becoming the only team to play in all four seasons of ISL without finishing in the playoff spots. However, the NorthEast hierarchy has started making their moves in order to change the way things happen at the club. They recently welcomed Nikhil Kadam and Kivi Zhimoni and will be hoping that their signings, along with that of Gurwinder Singh can bring about a positive change at the club. Will Gurwinder Singh be able to plug in the gap, which has been troubling the NorthEast United defense for years?